My friend Sue appliqued the block (based on a David Taylor pattern) and I added the first border. As soon as her quilt is ready, I will ask to take a picture and share it with you. The other borders were so beautiful... but you will need to wait to see them. 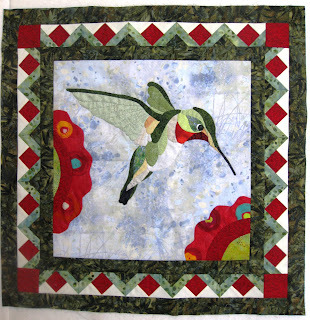 How can I get the hummingbird pattern? I love your border pattern.